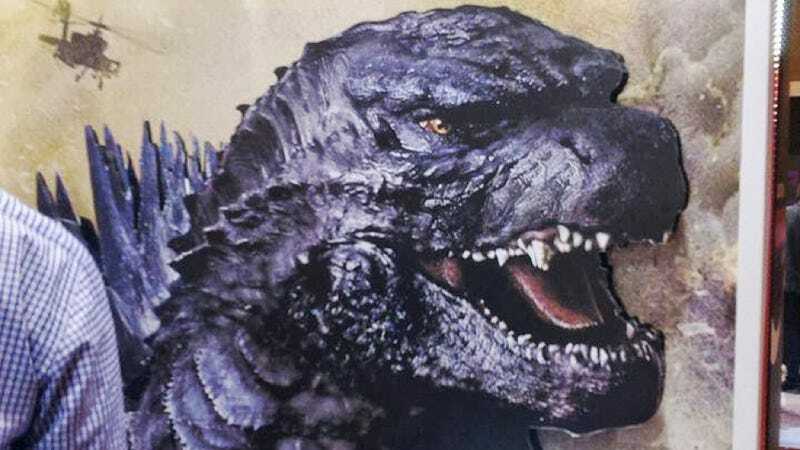 What Do Some Japanese Think of the New Godzilla? Hollywood is making a new Godzilla movie. The last time Hollywood made a Godzilla movie, many in Japan hated how the lead kaiju looked. Make that, many on planet Earth hated it. What about this latest effort? The image above was spotted at an expo in Brazil and as our colleagues at i09 point out, the image supposedly matches what people saw earlier at Comic-Con. Who is this handsome hunk? Hollywood's making another Godzilla? Does this sell abroad? This is the first Godzilla I've seen with sorrowful eyes. So, they're making him a good guy. The art is done in Showa Era style. This is better than whenever they made Godzilla into a total dinosaur. Is this better than an iguana? There's something gloomy... Like, "I don't really want to do this." Godzilla? More like Gorilla, am I right? I hope they make this like Pacific Rim. So there you go: Many believe that this is one handsome-looking, brooding kaiju!